Podcasting has increased in popularity, here in the Inland Empire a host of a podcast called Creative Collision will give us a breakdown on how his podcast started and grew its following. In a generation of entertainers, YouTube has been the outlet of expression. YouTubers have been popular in showcasing the ideas and uniqueness of the millennial generation. With a focus on visuals and other innovative content in today’s media, it is surprising to see radio hosting making a strong comeback. Saeed performing his music live. Podcasting has increasingly become a new trend that is on a steady rise. Popular podcast such as Drink Champs, hosted by former rap artist N.O.R.E, and the Joe Rogan Podcast, hosted by Joe Rogan, a famous comedian. Both have been pioneers in starting the buzz around this new craze of hearing people discuss and breakdown issues that we hear about from various news and social media outlets. 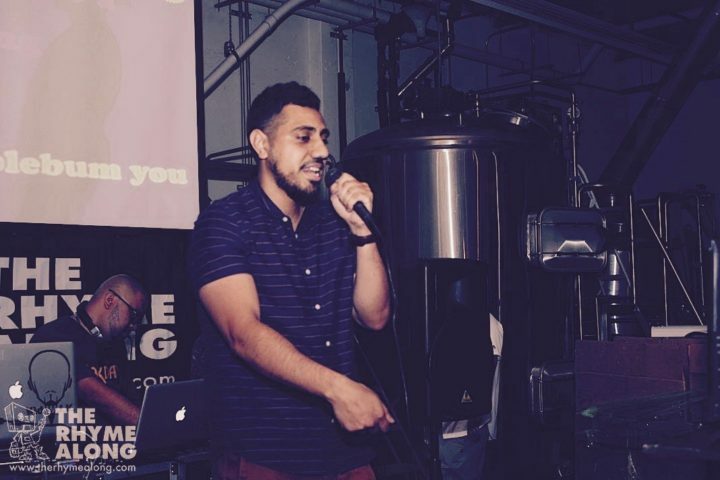 The Inland Empire has joined in on the conversation of social entertainment thanks to a local Podcaster by the name of Saeed Villanueva. Villanueva is a former student from CSUSB, who decided to start a podcast called Creative Collision. 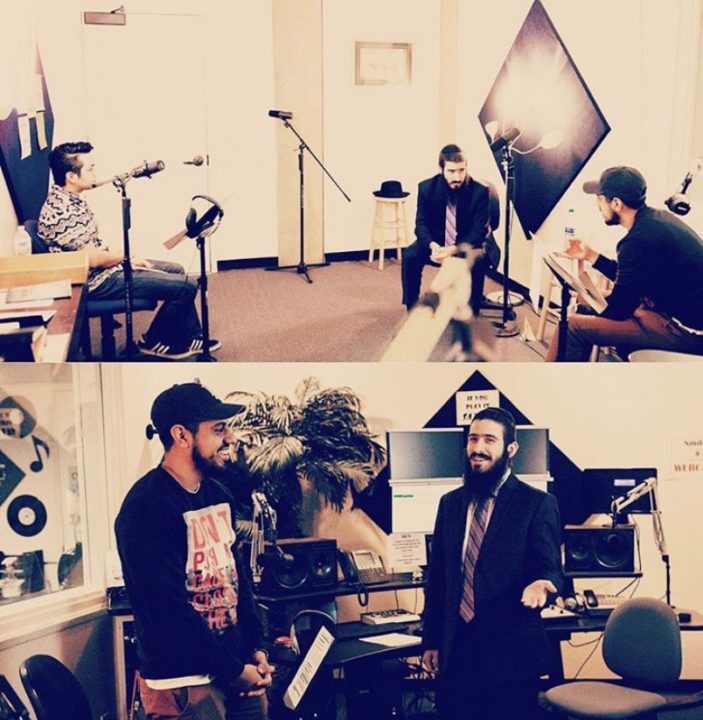 Check out Saeed Villanuevas Q & A with Rabbi Shmuel Fuss recorded in the Coyote Radio. Click here to view the story. Villanueva’s inspiration for creating a podcast came from him noticing the excitement he and his friends would get from debating trending topics. Since Creative Collision was created a little over a year ago Villanueva has experienced growing success and is well into his second season. Before Villanueva took on podcasting he was making music. His experience in producing beats and making songs helped him transition into podcasting. “What made it easy was since I record music I already had a microphone and recording equipment,” said Villanueva. The biggest challenge Villanueva found in starting his podcast came from locating a place to set up shop and finding guest speakers. “I could not find a good place to set up all my equipment, I didn’t have my own place at the time, I kind of just moved around setting up in different settings that were quiet, organized and helped me open up my creative eye,” Saeed said. One of the various locations Villanueva hosts his podcast. Little did Villanueva know that one of the biggest draws to his podcast would be integrating video recording. 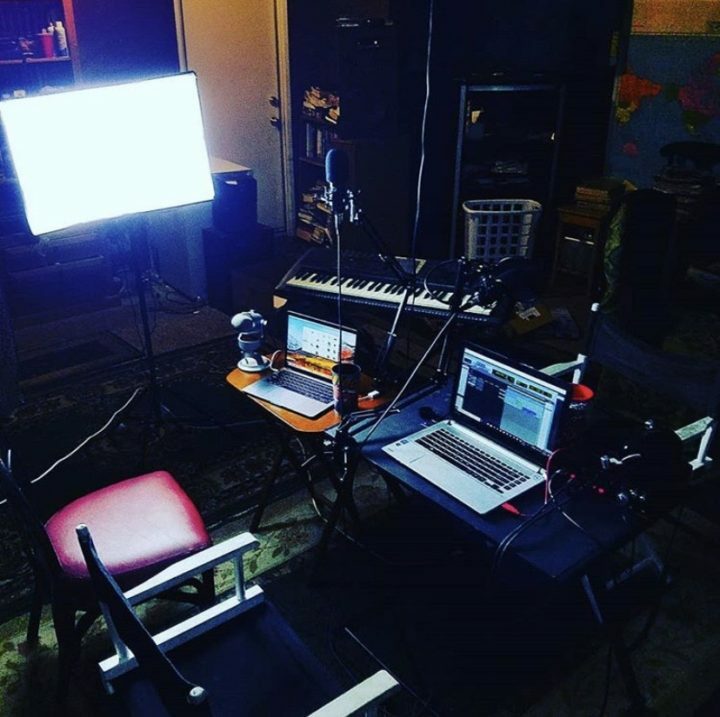 The originality of the different settings Villanueva had in his live podcast appealed to his audience. 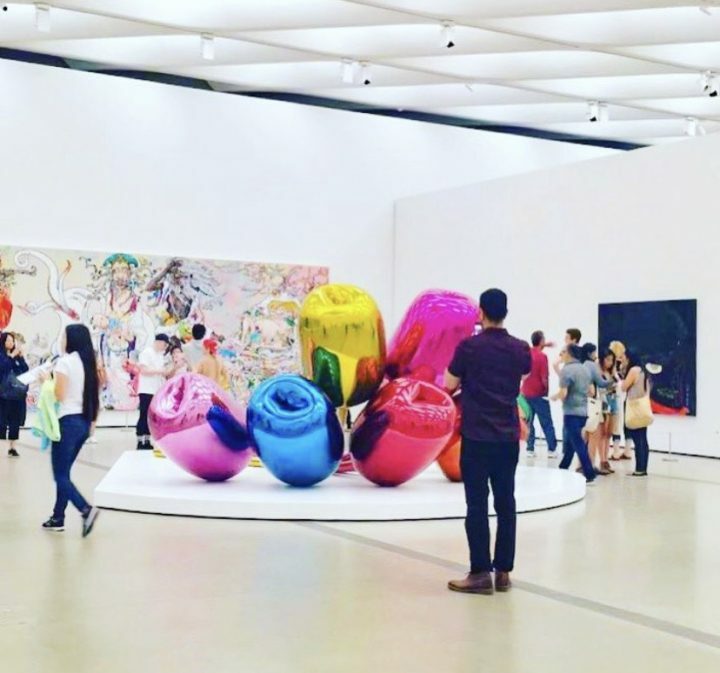 “I like watching the live shows because it always seems like something fresh, the environment sets the mood for the subjects,” said Ryan White, a 27-year-old who listens to the podcast. Villanueva has had some controversial topics on his podcast but nothing that he felt could hurt his popularity. “I did a segment on the late artist xxxTentacion and I noticed there were mixed reviews on some of my thoughts regarding his death, music and life decisions,” Villanueva said. “I still feel it was good and I think my listeners appreciated my open honesty and daringness to address the subject,” said Villanueva. The only regrets Villanueva has had in regards to his podcast was not starting sooner than he did. Saeed Villanueva gathering inspiration for new topics to speak on. “Podcast really started to get popular a few years back and I wish I started earlier but now that I’m up and running there is still opportunity to really do something with it,” said Villanueva. The biggest advice Villanueva has for other people who wish to start a podcast is to openly express their opinion and speak their truth from their own life experiences. “I feel like people like podcasts because they are more authentic than typical news outlets,” said Villanueva. “Podcasters are less bias and more objective because a lot of them are regular people you can relate to especially if you share the same interest with them,” said Villanueva. Creative Collision is aired on Sound Cloud, YouTube, and Instagram. Villanueva also plans on airing his shows on iTunes around fall.